September 9, 2014 - As you drive west on I-10 across Texas, you can see Mexico from your left windows. Sometimes the highway gets so close to the Mexican border that you can clearly see the landscape on the other side of the Rio Grande. 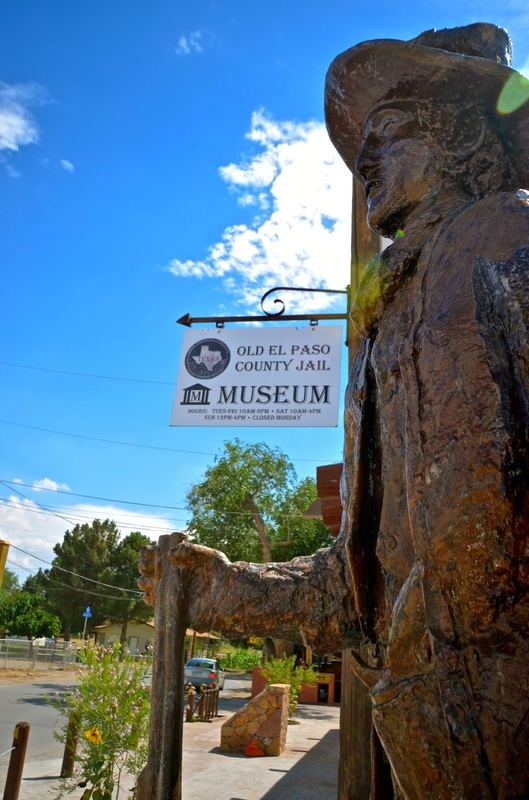 But if you take an offramp a few miles before you get to El Paso, you not only can get much closer to Mexico but you can also travel back in time and relive West Texas' rich Hispanic history. 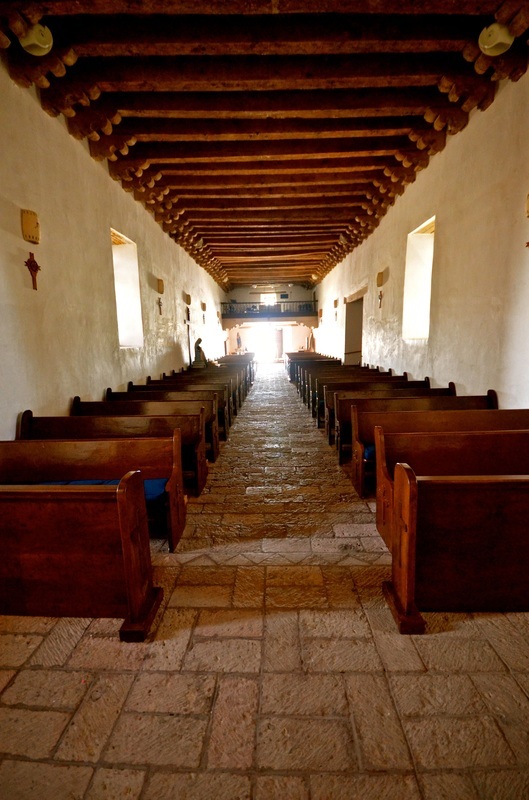 On "El Camino Real de Tierra Adentro," the Royal Road of the Interior, established by Spanish explorers more than three centuries ago, you'll be crossing time portals back to the days when Spanish settlers and Native Americans built the first Spanish missions and communities in present-day Texas and established some of the oldest continuously active parishes in the United States. 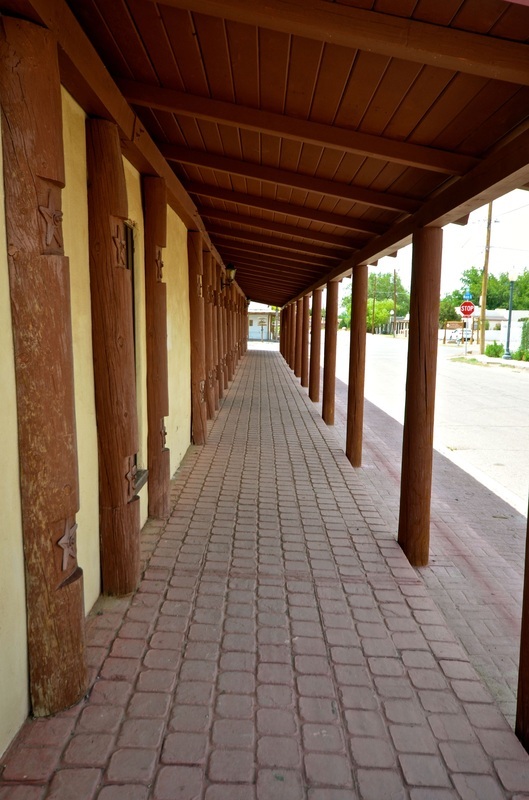 A 9-mile stretch of El Camino Real is also known as the El Paso Mission Trail because that's where you'll find two Spanish missions — Ysleta and Socorro — established in 1682 and completed around 1690-91 "largely by Tigua, Piro, and Manso Indians, under instruction from the Franciscan priests who evangelized them," according to a sign that greets you there. 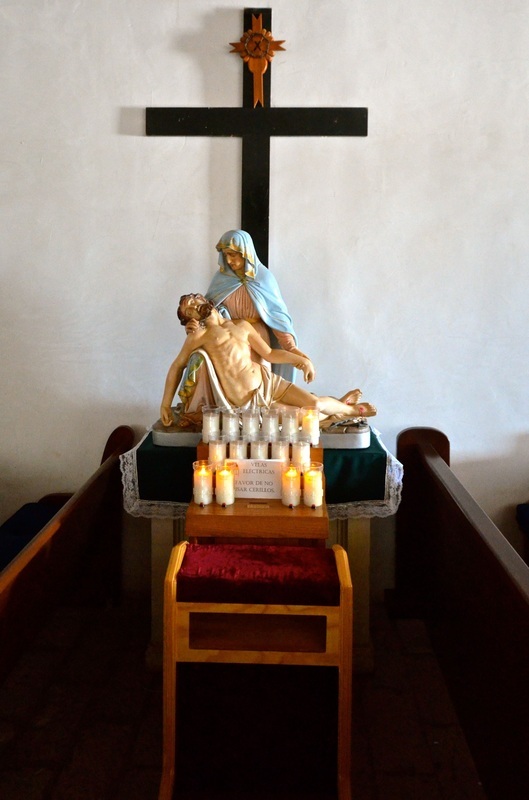 The sign, headlined "The Faith on the Frontier," notes that the Spanish explorers of the 16th and 17th centuries "were fired by three ambitions" — seeking material wealth, Christianizing the natives and colonizing the North American frontier. 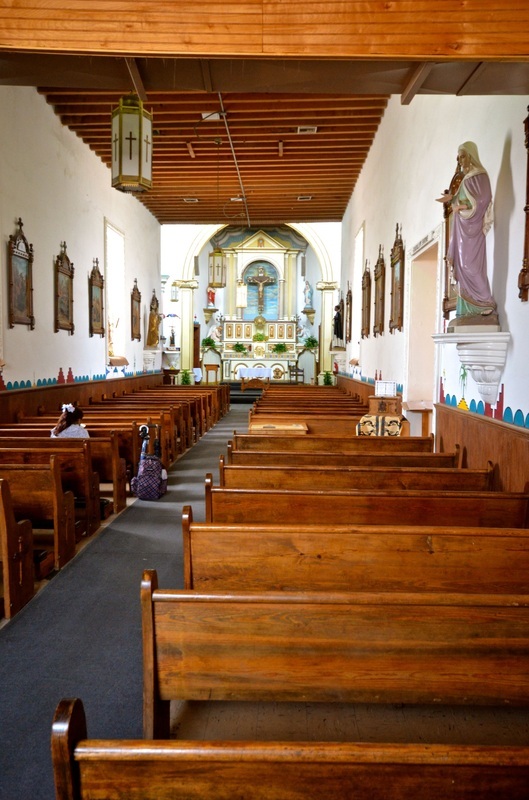 But it also notes, "North of the Rio Grande, the Spanish were far more successful at evangelizing for their faith than at discovering material riches." 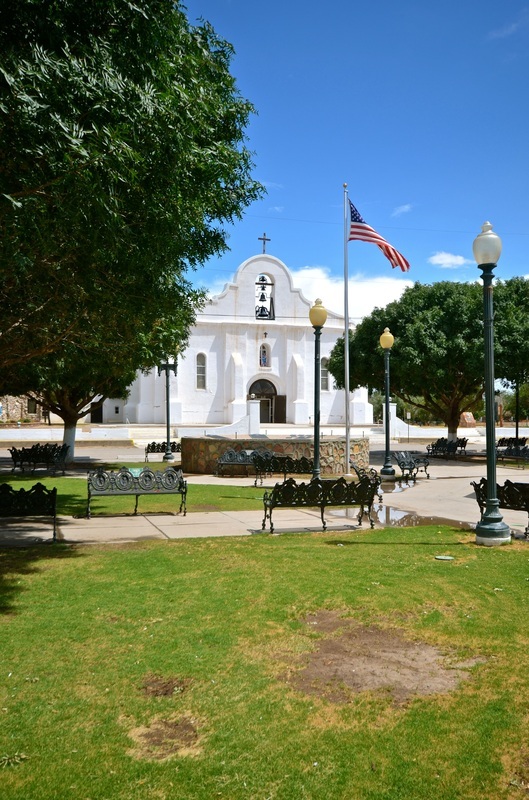 The trail also takes you to San Elizario and its Historic District, some 17 miles southeast of El Paso, a community that evolved around the Presidio San Elizario, a Spanish fort built in 1789 to protect the nearby missions and Spain's northern frontier. 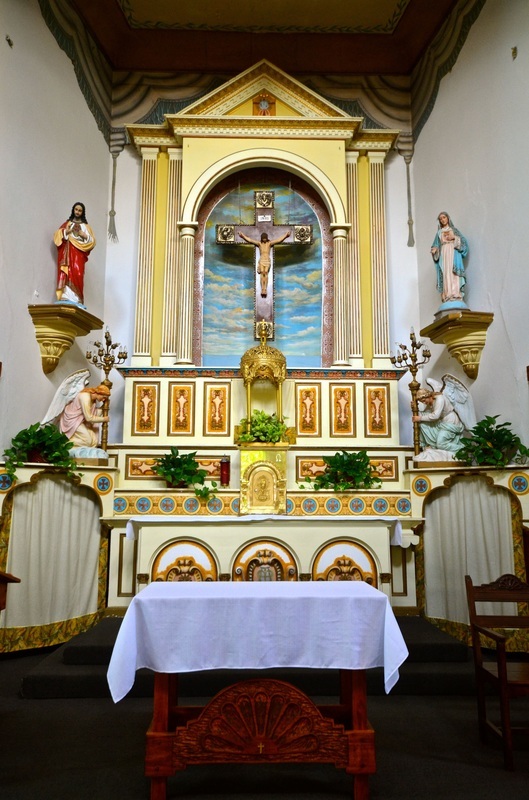 The presidio's chapel, destroyed by a flood in 1829 and rebuilt in 1882, still is the focal point of the district, where there are historic homes, museums and shops for tourists to visit and where the chapel presides over the Spanish-style Veterans Memorial Plaza, which has the look and feel of a colonial plazita in Latin America. And there is a reason for that. 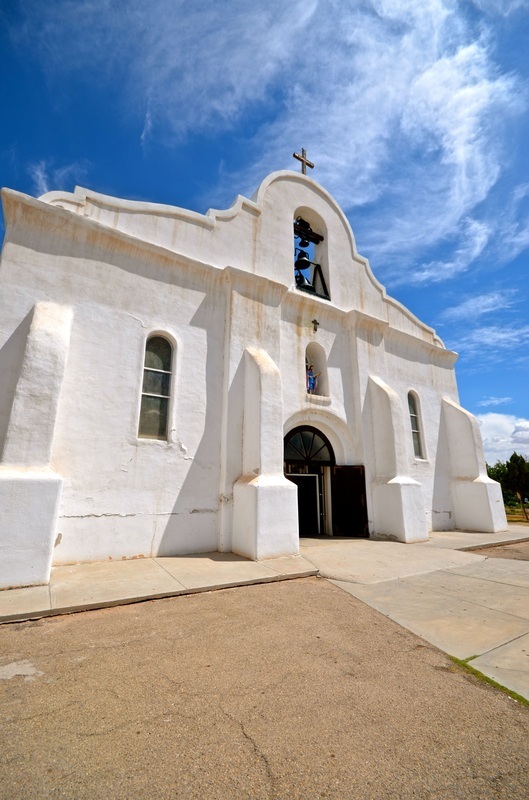 When the missions were founded, they were part of New Spain. 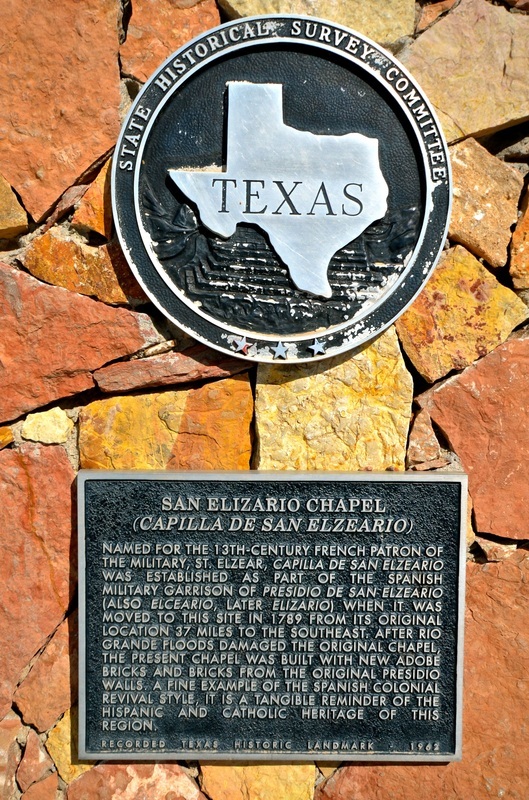 And before the Rio Grande was established as the U.S.-Mexico border, this section of the old Camino Real had also been part of Mexico and the Republic of Texas. 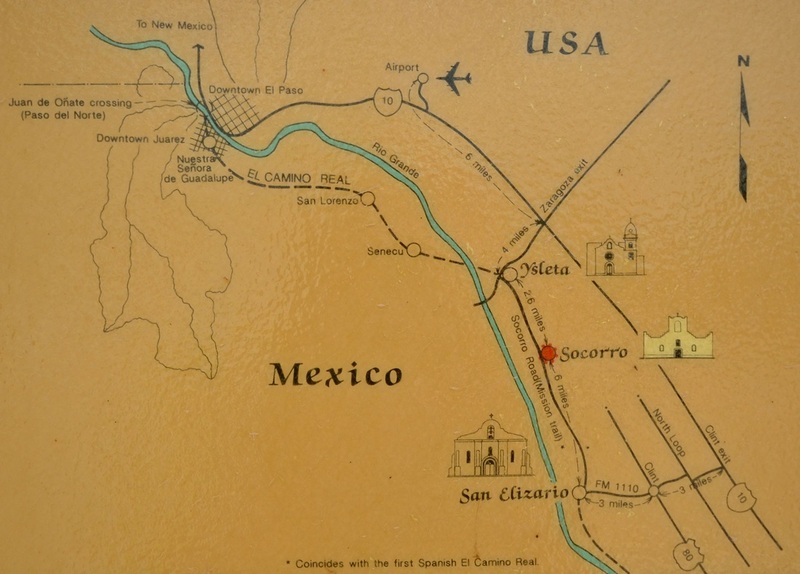 But for more than 200 years, ever since Spanish explorer Juan de Onate's 1598 expedition into present-day New Mexico, it was a major trade and supply route from Mexico City to Santa Fe — some 1,500 miles. 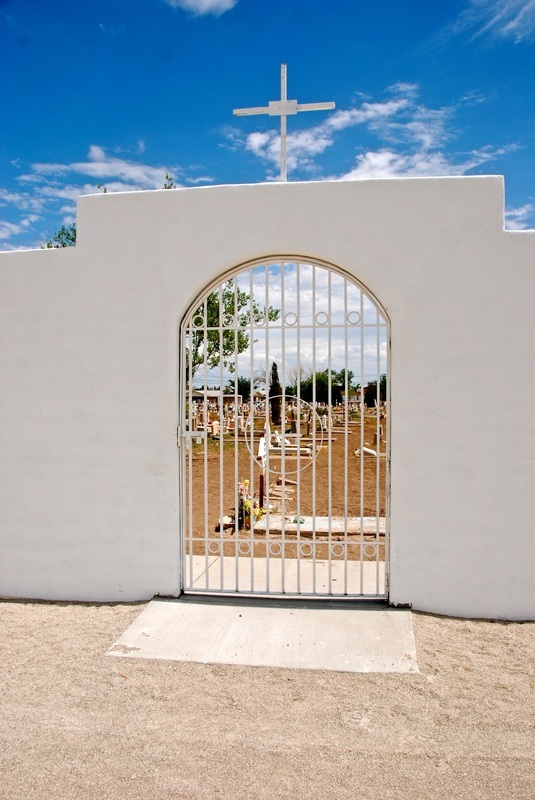 When they crossed the Rio Grande — in the area where Ciudad Juarez, Mexico, now borders El Paso — Onate's men were the ones who named the area El Paso del Rio del Norte, or The Pass Across the River of the North. 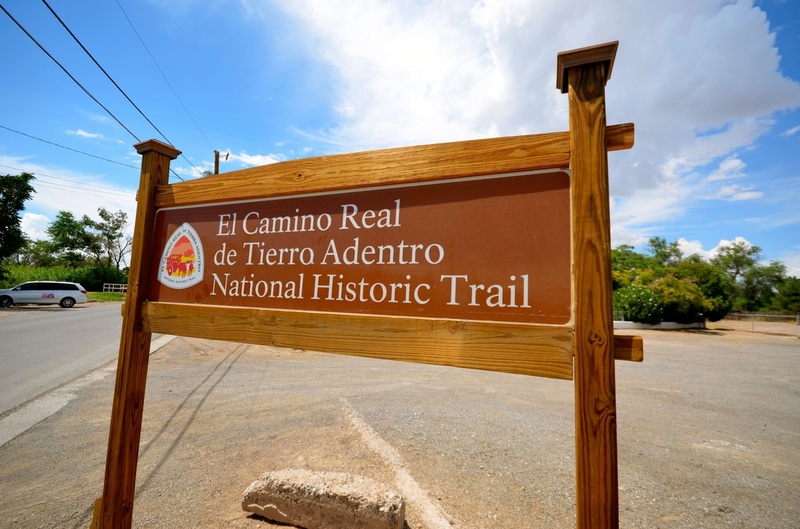 But El Camino Real de Tierra Adentro, designated a National Historic Trail in 2000, was once the longest road in North America — and remains the oldest! 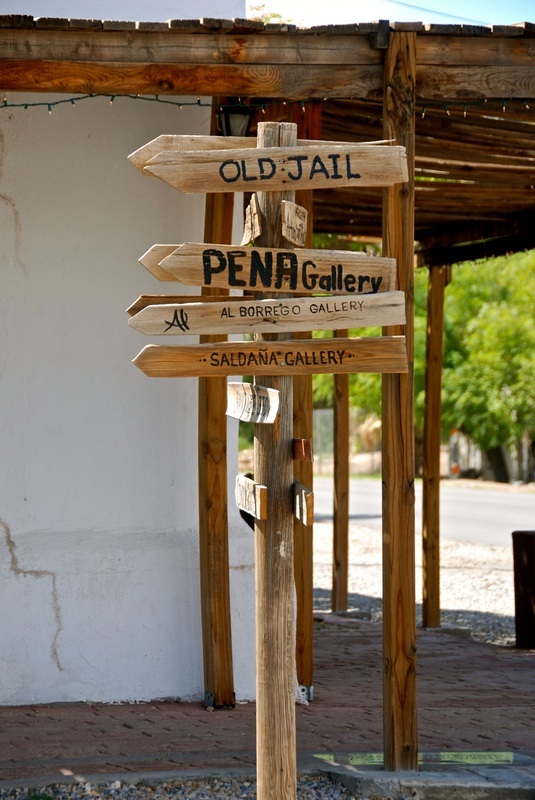 San Elizario is now a city of some 14,000 residents in El Paso County. 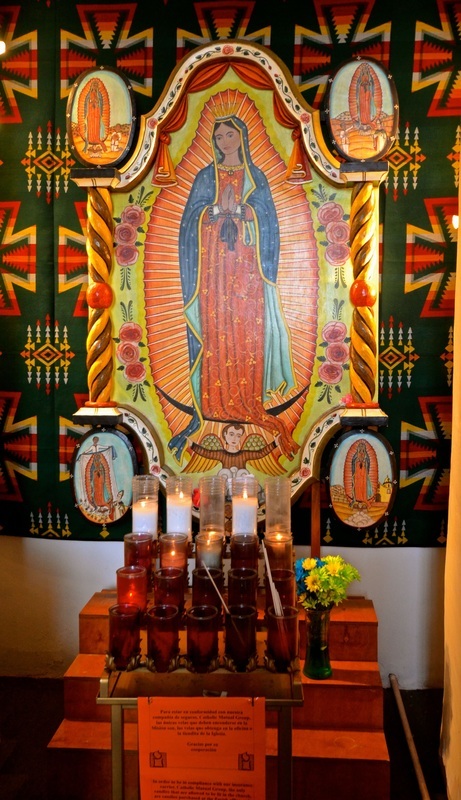 Many of them still feel strong ties to their Native American and Hispanic heritage. 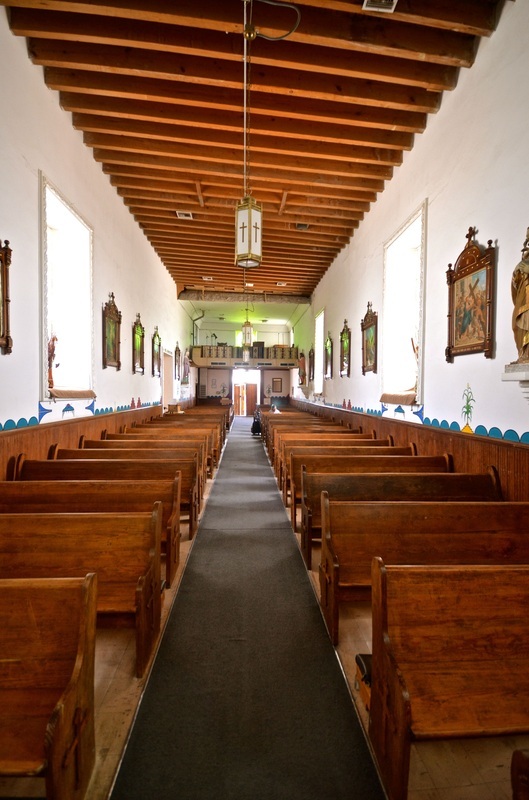 Curiously, "Elizario" is a corruption of the original name given to the presidio — San Elceario, after San Elcear, the French patron saint of soldiers. 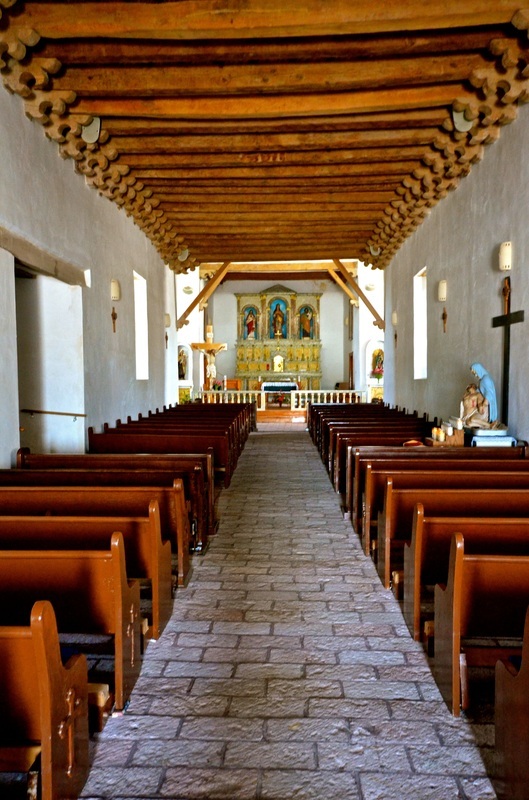 At missions Ysleta and Socorro, you learn they were established by missionary Francisco de Ayeta and Antonio de Otermin, the Spanish governor of New Mexico, as temporary camps to give refuge to Spanish settlers and Native Americans who had fled south from northern New Mexico after the Pueblo Revolt of 1680. 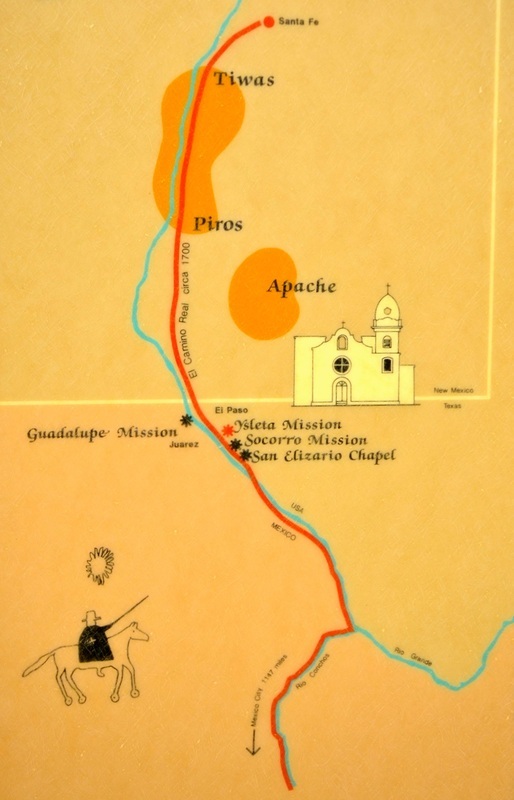 That's when Pueblo Indians rebelled against Spanish colonizers, as a result of the years of mistreatment they had endured under Spanish rule, killing some 400 Spaniards and driving 2,000 others out of New Mexico. 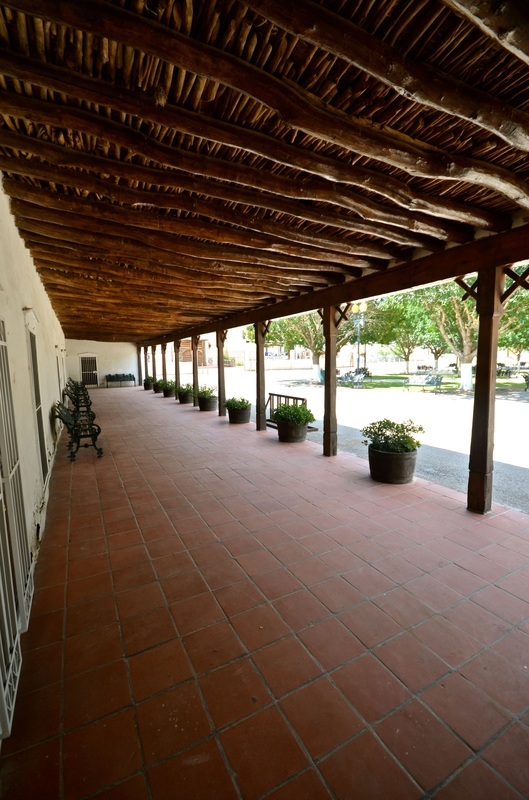 At the El Paso missions, you learn that they got their original very long names, ending with the words "del sur" (of the south), because they were named after the missions from which the Pueblos had fled in northern New Mexico. 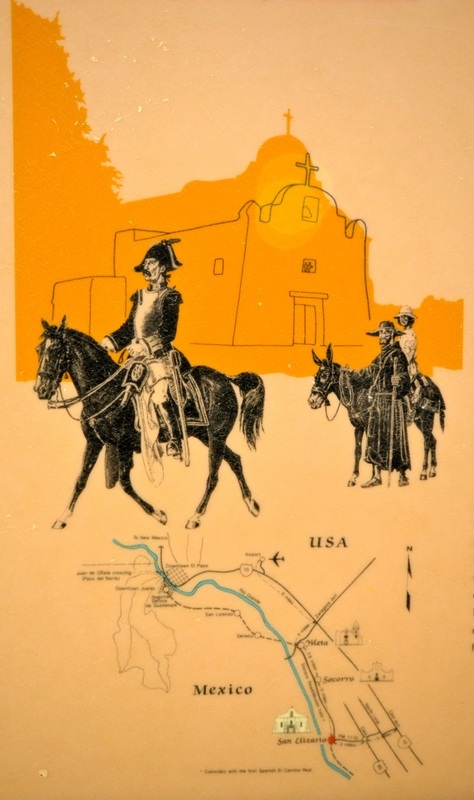 "The mission was established after the most sweeping retreat by colonists and soldiers from Indians in the history of North America, the great Pueblo Revolt of 1680," the Ysleta signs explain. "The clash of cultures was a struggle over which ways of life (religion, economics, politics and many cultural traditions) should prevail. The conflict finally led to open rebellion by natives of what is now northern New Mexico and the expulsion of the Spanish." 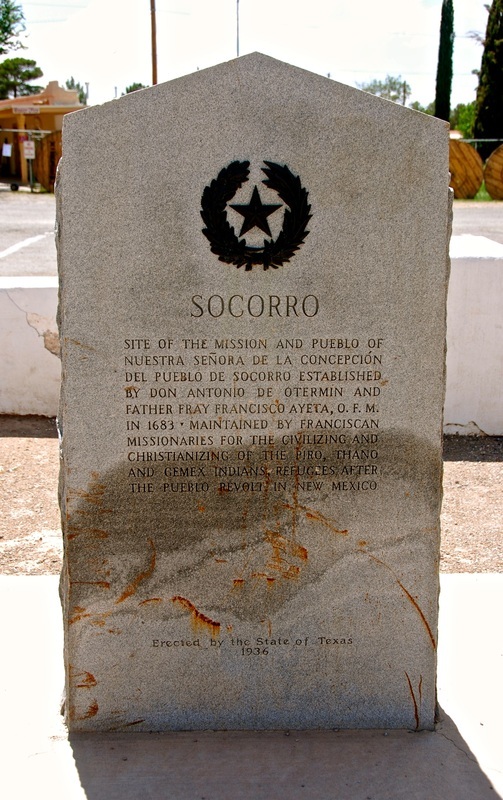 Although many Spanish settlers had passed through the El Paso area on their way to northern New Mexico, they did not settle in this area until they retreated. 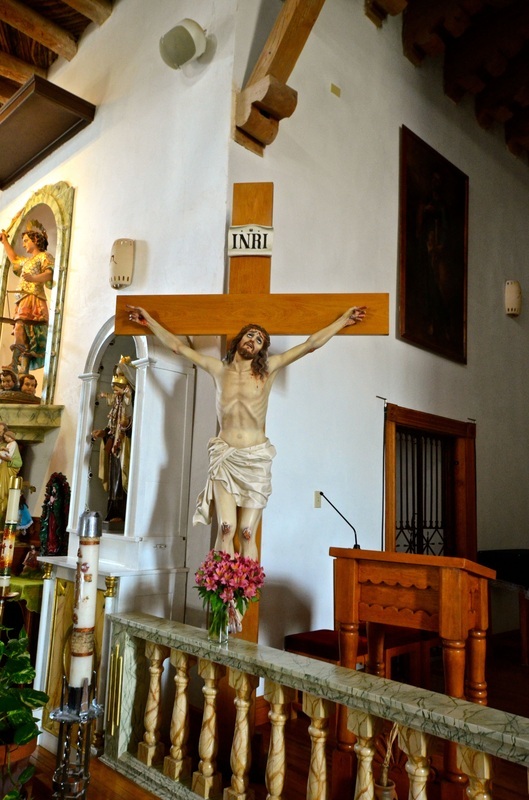 Some Native Americans who already had adopted Spanish customs and embraced Christianity also fled south with the Spanish, but there are different interpretations on whether they did so willingly. 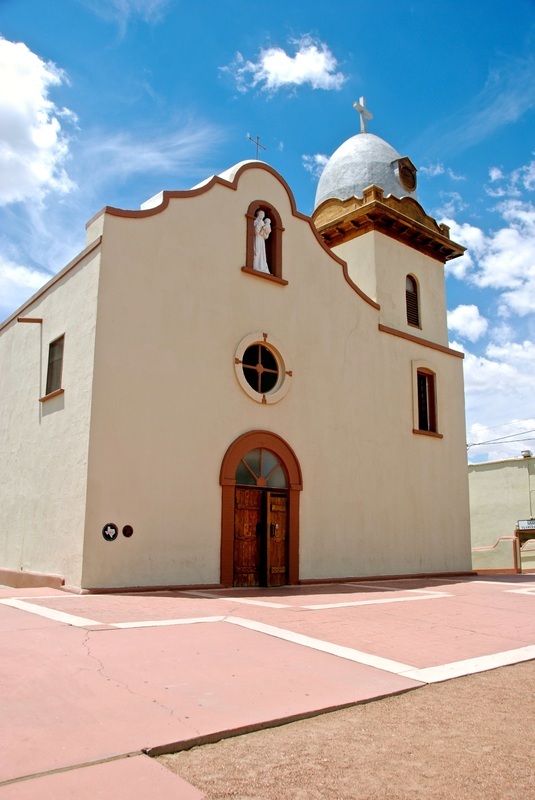 At Ysleta, you learn that "Spanish records show that during the escape south, some Christian Indians joined Governor Antonio de Otermin in flight to the Pass of the North," but you also learn that "history as recorded by Tigua oral tradition maintains that Indians were forced to accompany Otermin." 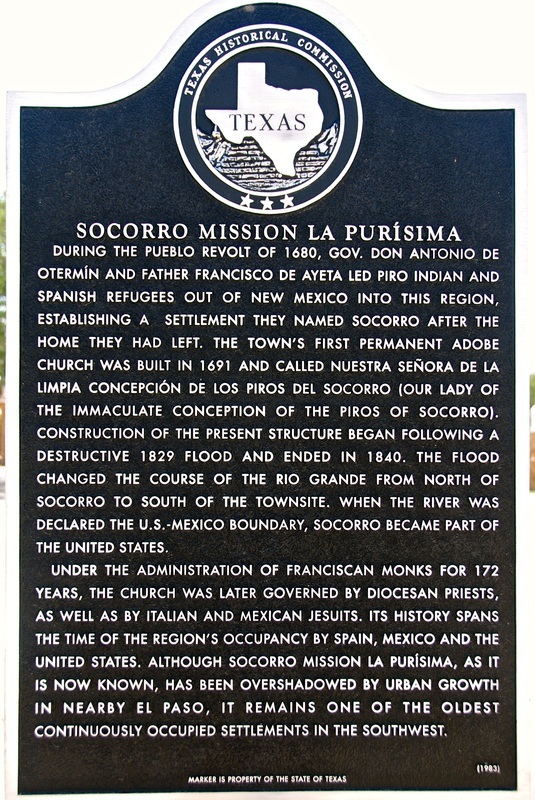 And yet another sign at Socorro calls the Pueblo Revolt a "massacre" from which Piro Indian refugees fled. 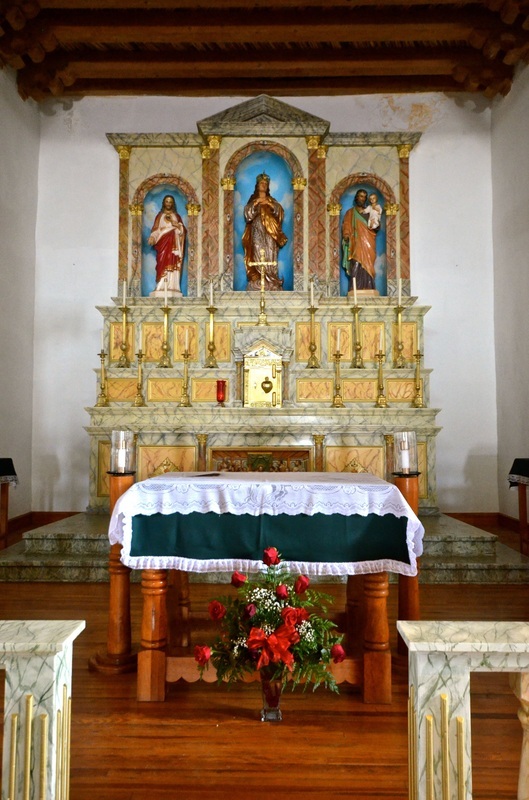 "In any case," a mission sign concludes, "on October 12, 1680, Father Juan de Zavaleta held the first Catholic Mass on soil that eventually became part of the State of Texas." 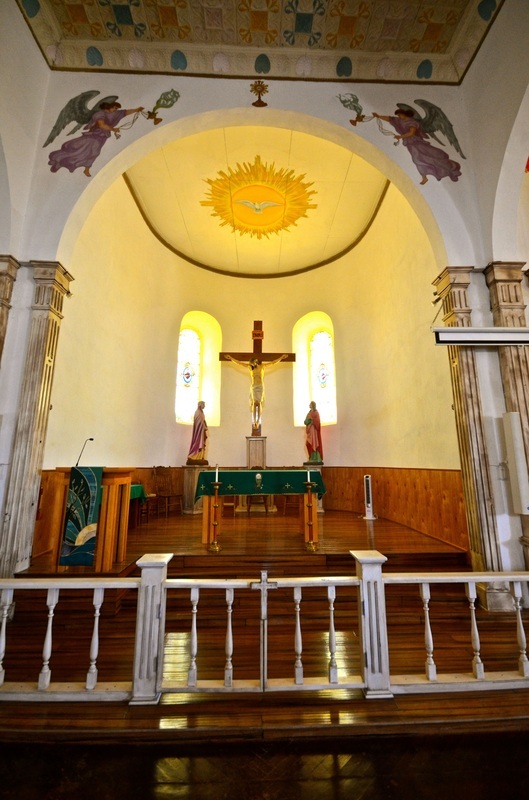 That Mass was reportedly attended by Otermin, 150 Spanish soldiers and colonists, and more than 300 Native Americans. 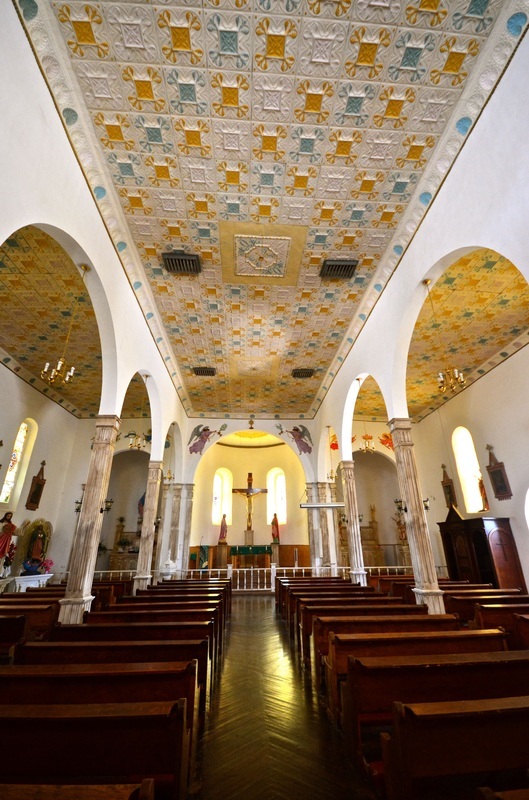 Ravaged by storms and fires over the years, these three churches have been repaired, reconstructed and restored many times. 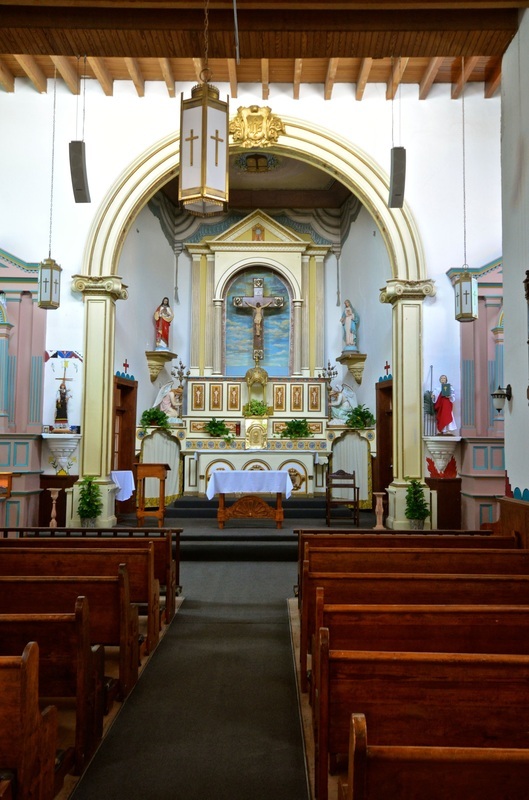 All three are still active parishes, administered by the Catholic diocese and serving the descendants of the Hispanics and Native Americans who built the original churches centuries ago. But they have to be kept in a constant state of renewal. 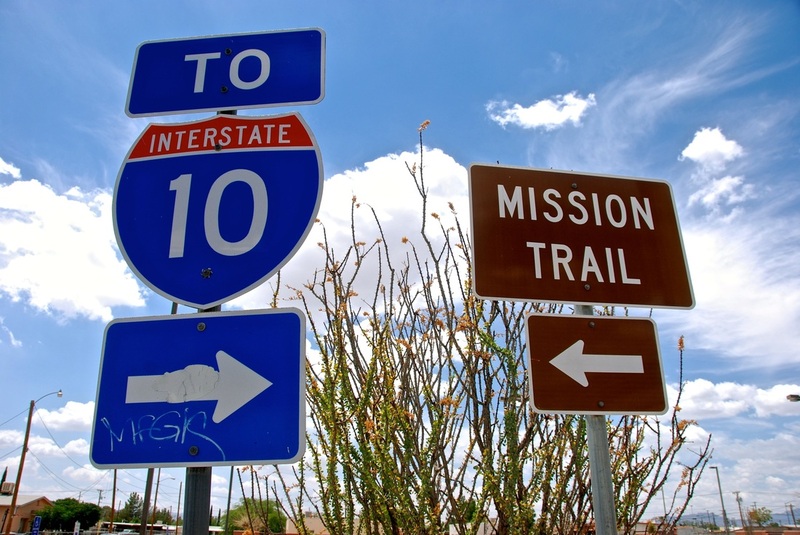 "All of the churches are constructed of hand made, sun dried adobe bricks, covered with white stucco," a mission sign explains. 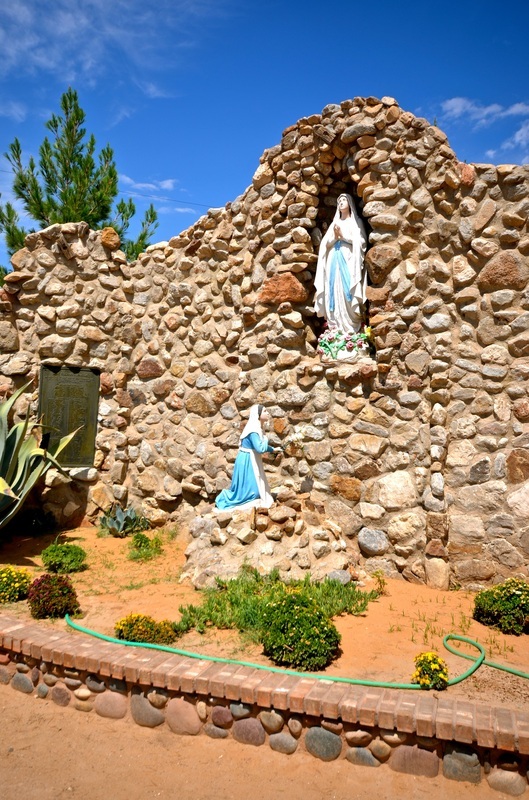 "Occasionally the walls must be renovated as water permeates the stucco, deteriorating the adobe." Another sign explains that "several generations of buildings have replaced, destroyed or deteriorated structures on or near these sites," that "they have been active places of public worship continuously since their origins" and that "as living reminders of the blend of cultures which commenced more than three hundred years ago, the churches deserve our respect and reverence." 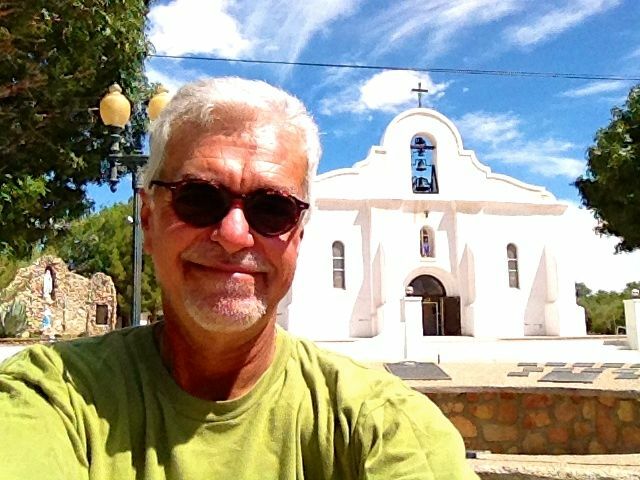 When the Great Hispanic American History Tour followed El Camino Real de Tierra Adentro, I found many reasons to pay respect and reverence to our Hispanic heritage. 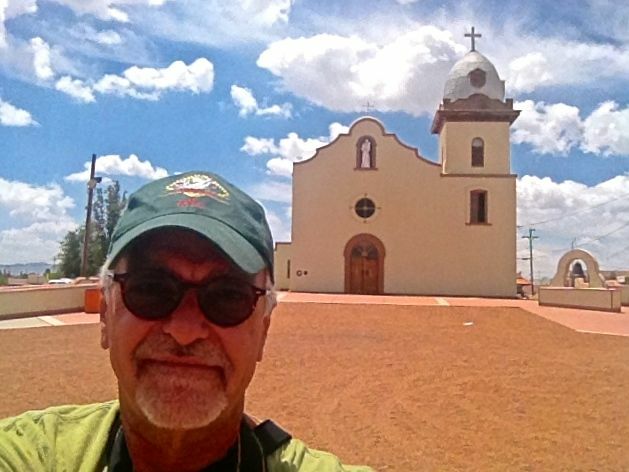 But frankly, being so close to the Mexican border, which has been so controversial and the subject of this column for so many years, and staying away from covering current border events was excruciating. 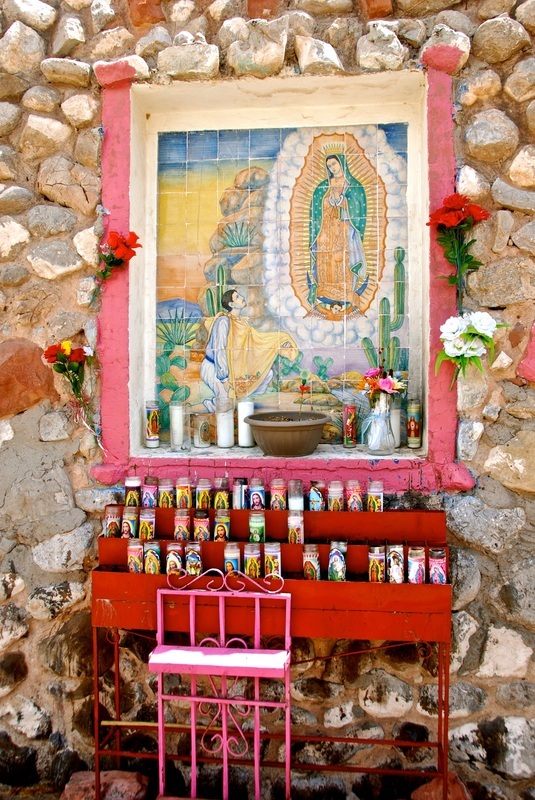 But I was a man on a history mission, and the green Border Patrol trucks all over the area were not about to distract me. I actually pulled up next to one of them and, rather than ask about the immigrants crossing the border, asked for directions to a historic site. I couldn't believe myself! 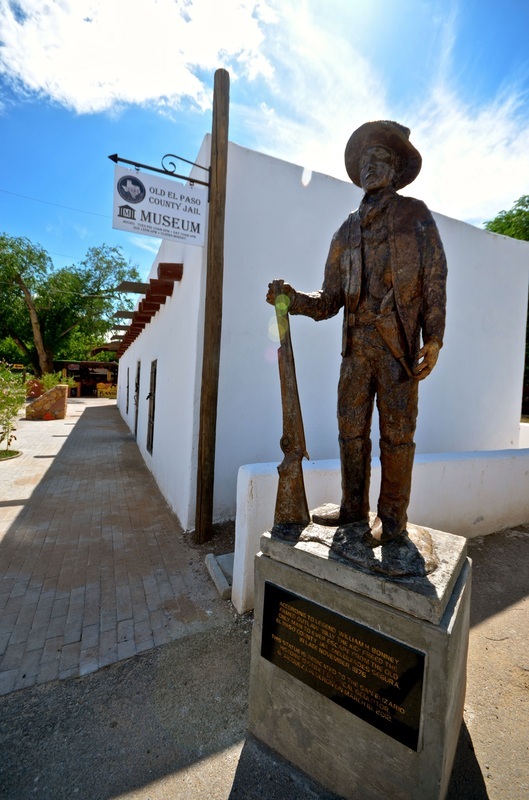 Next week, the Great Hispanic American History Tour keeps exploring San Elizario and its claim to be the site of America's first Thanksgiving, celebrated by the Onate expedition in April 1598, some 23 years before the Pilgrims feasted at Plymouth Rock. 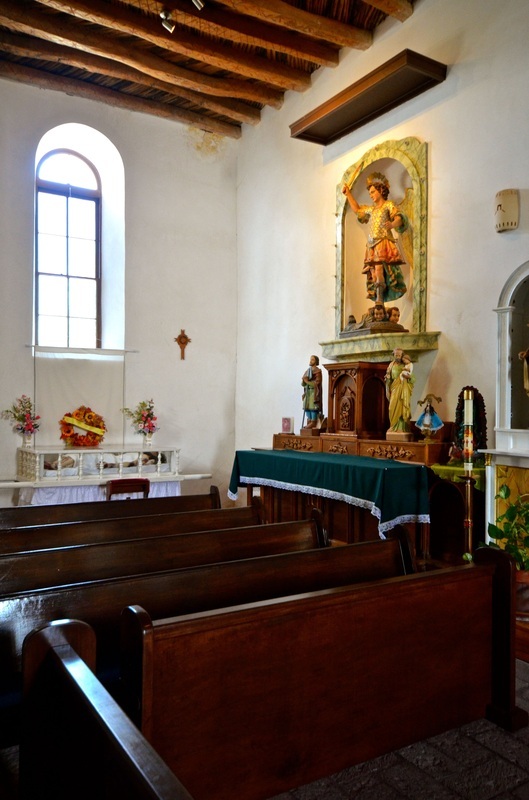 But what about St. Augustine's thanksgiving Mass in 1565? Stay tuned.